Police in Turkey say they thwarted an assassination plot against a Christian pastor Tuesday when they arrested 14 suspects, two of whom had been part of his congregation for more than a year. Emre Karaali, pastor of Izmit Protestant Church and the target of the alleged plot, said two of the arrested suspects were regular members, feigning interest in Christianity. One of them, he said, participated in a baptism in July. Some of the other suspects also had visited the church, Karaali told World Watch Monitor. He said three of the suspects are women. 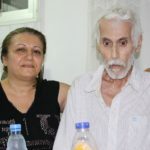 Accounts of the arrests in Turkish media reported that the suspects were planning to murder Karaali this week during a series of evangelistic outreach meetings. “They caught them last minute,” said Hakan Tastan, an Istanbul Christian who was visiting Izmit Wednesday. “If they had waited one week, we would have lost them,” he said, referring to the pastor, his family and potentially other church members. The 14 had collected personal information, copies of personal documents, created maps of the church and the pastor’s home, and had photos of those who had come to Izmit to preach. In one of the homes raided by police, two guns were found, Turkish media reported. Police have recorded the telephone conversations of the 14 suspects. 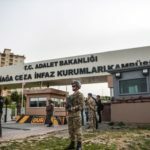 Press reports said the Izmit anti-terror police decided to close in when they learned the network of suspects had brought in someone from Diyarbakir, in eastern Turkey, to carry out the murder. The police are not talking about the arrests, claiming their investigation is ongoing. Karaali said he learned about the arrests reading the morning newspaper Wednesday. Later that day, he said, the police called him in for questioning and a briefing that lasted more than five hours. The pastor said he has been working with police since January 2012, when he informed them of a death threat he had received. “I received a threat by phone and that’s when the police started to investigate,” Karaali said. It’s not yet publicly known whether any of the suspects arrested Tuesday are connected to that initial phone threat. Karaali said he declined police protection that was offered at that time, though his wife and two young children did move into an apartment building with better security. Another threat was made during the summer. “They said, ‘You talk too much. We’re hearing your voice everywhere and we’re going to break your head.’ They didn’t say they’ll kill me exactly, but that if I didn’t shut up it would be bad.” Police have not revealed whether any of the 14 suspects arrested this week are suspected of making the threat. Izmit, about 100 miles east of Istanbul, is the heart of an industrial region of about 1 million people, known for the devastation it faced in the earthquake of 1999 that claimed thousands of lives. The Izmit Protestant Church, operating for 13 years, is a small congregation, ministering to 20 people, all of whom are Turkish converts to Christianity. 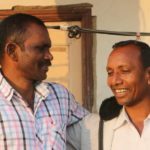 Karaali and his wife have served the church for four years, in an environment he described as difficult. A Christian visiting the Izmit Church this week described a group of children yelling insults at those who were leaving an evening meeting. Earlier this week, a passerby threw rocks and hurled expletives at the church. Karaali’s predecessor, Wolfgang Hade, a German, also had received death threats during his time as pastor in Izmit, and was under police protection for a year after the 2007 murders of three Christians in the eastern city of Malatya. The accused ringleader of the Malatya murders had said he was planning on killing Hade next. The Istanbul Protestant Church Foundation, of which the Izmit church is a member, denounced the alleged assassination plot in a press statement Thursday. 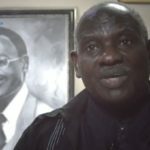 Karaali said he intends to continue to pastor his small flock. Turkey was ranked No. 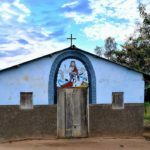 31 on the 2012 World Watch List, a ranking of the 50 countries where life as a Christian is most oppressed, as measured by Open Doors International, a ministry to persecuted Christians. Turkey did not rank among the top 50 in the 2013 World Watch List.